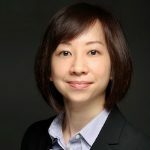 Dr. Karen Lam is currently the Chief Business Officer at the Centre of Excellence for the Prevention of Organ Failure (PROOF Centre), where she oversees business development and commercialization activities, centre operations, and biomarker R&D programs. She completed her BSc (Honours) in Genetics and PhD in Medical Genetics at the University of British Columbia, and has a broad background encompassing cell and molecular biology, high-throughput screening, functional genomics, assay development, drug discovery, drug repurposing and target validation. Working directly at the interface between academia and business, Dr. Lam’s interests are in the development of new and innovative ‘omics’ tools for personalized health, and creating pathways to successfully translate these research findings into commercial outcomes.